According to permits filed by the new owners – Satterberg Construction Corporation – the lot will be divided into two different lots. Each lot will have a new single family “skinny house”. 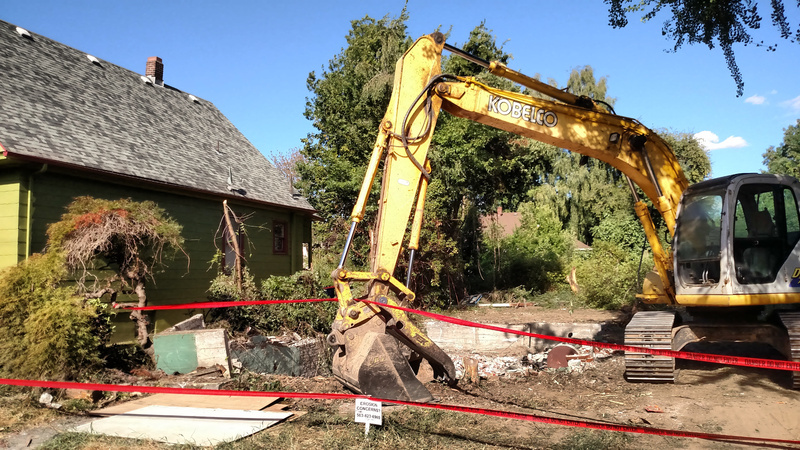 Early plans indicate each house will have off-street parking with a tuck-under garage. 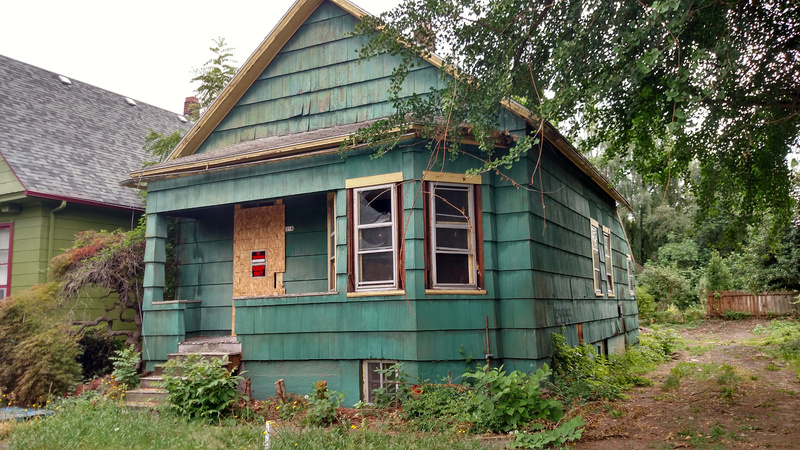 It is unfortunate and sad to see a historic home that has existing in our neighborhood for nearly 120 years be torn down and end up in a landfill. On the other hand, if something is going to be built, new single family homes with off-street parking have less impact than a higher density apartment complex where residents are competing for parking on the street. Regardless, it is gone forever. Something shiny and new will replace it soon. *Historical information from The History of Albina by Roy Roos.